The lucky find occurred on Thursday 6th March. 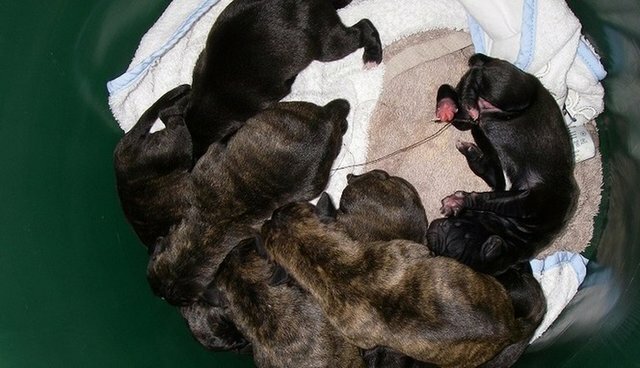 After discovering the abandoned pups, the children called the dog warden of Flintshire county council and the matter was then passed on to RSPCA. 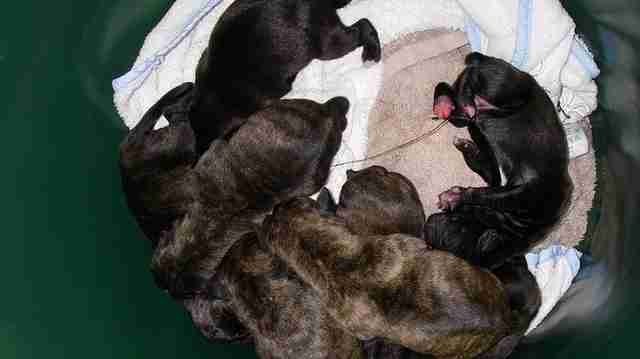 The charity criticised the manner in which the puppies had been left, saying there was little chance of them being spotted inside a bin and the young age of the puppies made them very vulnerable; RSPCA inspector Tim Jones noted "[. . .] some of them had their umbilical cords still attached." 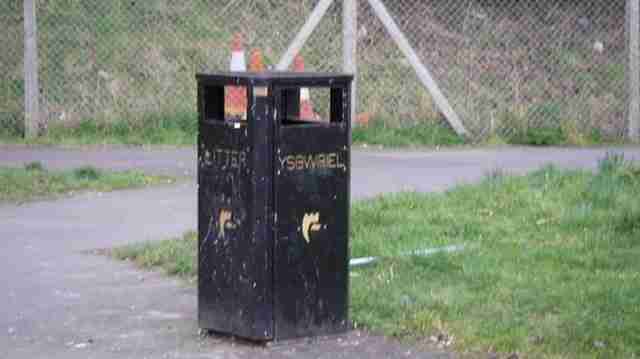 "Anyone who may have information about this incident should contact the RSPCA on 0300 123 8018. Calls are treated in confidence." Environmental protection manager from Flintshire County Council Scott Rowley added: "Flintshire County Council work hard to ensure that incidences of cruelty and neglect of unwanted puppies is a rarity rather than a regular occurrence within the County and we will work closely with the RSPCA on this case. Our Animal and Pest Control Officers actively promote responsible dog ownership and any resident wishing to seek advice can contact our dog warden team on 01352 701234 for further information."